Shazam! Is a movie I would have taken my nephew to – as it’s young, bold, and childish – with the gravitas of the loss of familial innocence dignified in an out-of-body orphan experience. Which is where this movie exceeds in its fun factor. 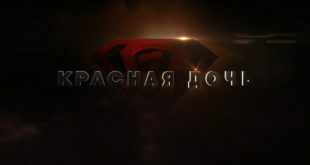 For all intents and purposes, this could’ve been a very serious DC movie. Instead, it aims for geeking out on superhero tropes, and reminding the audience: what it’s like to see an origin story again – as the movie relies on tried and true Superhero formula – yet, it works. Billy Batson (Asher Angel), is an orphan seeking his mother. After bouncing around foster homes, it seems like he finally finds a suitable one, run by parents who were former orphans, Victor and Rosa Vazquez (Cooper Andrews, whom many know as ‘Jerry’ on the Walking Dead, and Marta Milans). The home is filled with fellow orphans, who seem like an idyllic representation of America – six children of different races in a room, each having their own distinct personalities. 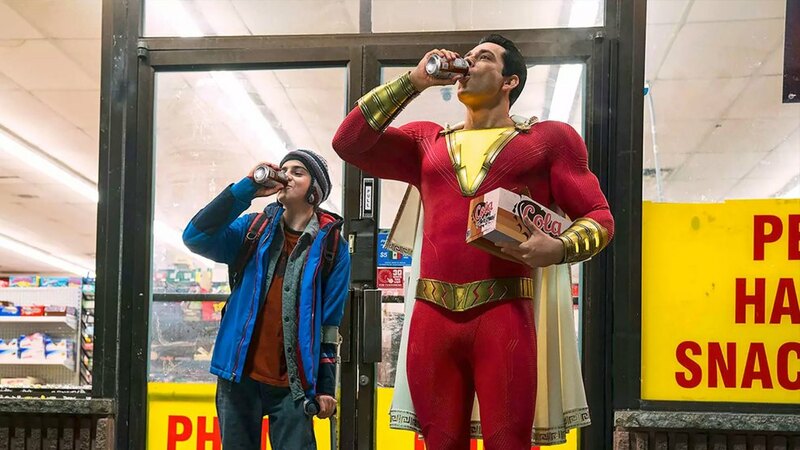 In a chance encounter, Billy is bestowed the powers of Shazam after fighting off some school bullies, becoming the eponymous adult sized superman trope that shoots lightning out of his fingertips (Zachary Levi). 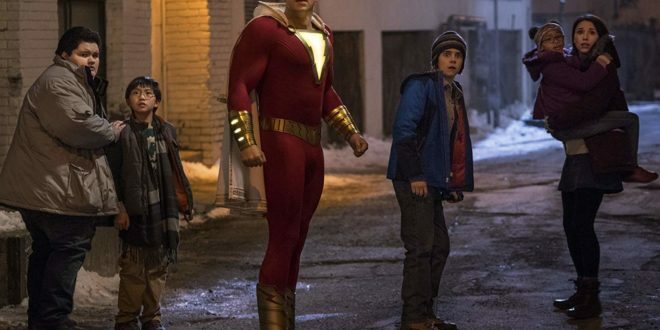 Billy as Shazam, is much like his childish counterpart except in an adult body; that is, he is awkward, clumsy, yet has a good heart – which is great characterization both for having fun with the story, but also, in its ability to poke fun of itself. The origin story is something you’ve seen many times before: a magical place with a sort of wizard or genie bestows gifts upon a needing orphan/hero (think Luke Skywalker or Aladdin). Coincidentally, another person behind the scenes, who likewise failed that same test of courage the hero passed, also seeks the same power (think… Darth Vader or Jafar… wow, even I didn’t plan for that one). What matters though, isn’t the origins, as much as it is the fun training montage in-between (kind of like Luke becoming a Jedi, or Aladdin pretending to be a prince). Learning how to be Shazam is priceless because of what this story does differently: it includes its side characters as vital to our hero. This works wonders, as instead of a single-person themed trial and error, it becomes instead: a fun buddy comedy adventure; all thrown within the midst of a superhero origins story. 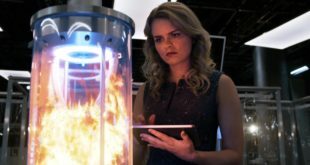 There are jokes, but also kinship, as well as fun exploitation about what it’s like being a Superhero at the age of fourteen – during a time of youtube and clickable likability. Alone, Billy doing these things feels selfish. Together, with his brother Freddy (Jack Dylan Grazer), it feels very fun. Which is really the selling point of this movie: it is all about the family. Even the siblings and what’s happening with them, between college, internet hacking ability, and innocence: all play a role within the grand narrative. This movie is awkward fun like a Spider-Man film, and it excels in capturing the Hero’s Journey, but what makes this an awesome experience is hands down: stellar performances by its supporting cast working together, especially by the film’s climax. Kudos to Cooper Andrews whom I want to give a big hug to: always, Asher Angel and Jack Dylan Grazer for really selling the brotherly love/hate, but most importantly – Zachary Levi who was fantastic in playing a gigantic man child in arguably his most memorable role since Chuck. I can tell from his appearance in The Marvelous Mrs. Maisel, and his physical fitness there, that he’d worked hard at being Shazam and it shows. Likewise, the characters Mary (Grace Fulton) and Darla (Faithe Herman)definitely accentuate the film by not only providing a powerful female presence but also, by showing that every family operates better with a parenting older sister and an adorable caring younger sister. This teen film truly embraces its awkwardness and sells itself to the YA crowd in excellent fashion and style.